Banko Cantina, a Mexican restaurant and tequila bar, proudly opened its doors this month at 114 S. Olive Ave. in West Palm Beach, FL. Originally home to the American National Bank, this 1921 landmark building was added to the U.S. National Register of Historic Places in 1997. An era remembered for its unprecedented prosperity, glamour and fanfare, the Roaring 20s were also marked by prohibition, underground speakeasies, notorious gangsters and glorified outlaws – during which time tequila trade became a lucrative business. Banko Cantina and the second floor club, La Terraza, will restore the fervor that once resided inside the very same walls through its delicious food, creative specialty cocktails, hand painted walls and reclaimed wood used throughout the establishment – writing a story for the next generation to tell! Chicago restaurateur Sam Sanchez co-owns Banko Cantina and is closely involved in its management. Sam moved to Chicago in the mid-1980s and oversees all facets of his restaurant business, including both operations and business development for John Barleycorn, Moe’s Cantina, and Old Crow Smokehouse. Sanchez was recently awarded Restaurateur of the Year 2015 from the Illinois Restaurant Association. Eddie Estevez is serving as Banko Cantina’s General Manager. Estevez, a Miami native and son of Cuban exiles, joins Banko Cantina after serving for the last eight years as Executive Chef and General Manager of Cantina Laredo in Palm Beach Gardens and Hallandale. As a child Eddie lived in San Juan, Puerto Rico and Caracas, Venezuela and has also lived in New York and the Bahamas. He has his Associate of Fine Arts degree from Miami-Dade College and an Associate of Science from the Art Institute in Ft. Lauderdale. I was invited to attend one of the pre-opening events in which we received a grand tour of the place and an awesome tasting of some of their signature dishes and cocktails. The three level 13,000 square foot restaurant features a 3,000 square foot partially-covered rooftop bar on the third floor, with a 90-foot bar in the center, 14 foot ceiling, seating for 150, along with a kitchen serving lunch and dinner from a select menu. The restaurant’s second floor was designed especially for special events, including corporate events and private parties. A lounge, private dining space and 130 seats can be found in the main dining room. The restaurant also features 14 60-inch televisions throughout for sporting events. Banko Cantina’s interior includes elements of the historical building, including the original wood, used for the tabletops, as well as the chandeliers and tiles. Chicago artist David Bozic, who blends fine art with street-style, has begun hand painting his work onto the walls with further commissions to come where guests will be privy to watching the artist at work. The restaurant features Northern style Mexican cooking and is inspired by Mr. Sanchez’ childhood in Nuevo Leon, Mexico. Mexican cuisine consists of many different regional styles, depending on the climate of the area. Northern Mexico’s desert climate supports a large livestock population that led to the region’s meat-based dishes. The ranching culture’s historical use of wood fire and outdoor cooking is what developed the distinct smoky flavors that are the foundation of Banko Cantina’s extensive list of locally inspired tacos, steak and mesquite-grilled skewers. And speaking of mesquite flavors, the cantina offers an impressive array of handcrafted specialty cocktails created by the restaurant’s corporate mixologist Enrique Cobos, who creatively infuses mesquite and serrano chili peppers into a number of their craft cocktails including two of the signature cocktails that I got to try: the Passion Fruit Sangria and the Adelita. The beverage menu also features more than 30 varieties of tequila and over a dozen Mexican-themed drinks. Sanchez himself plans to host tequila chef tasting dinners as well as “tequila tasting 101” classes to share his knowledge of his favorite spirit. I can’t even begin to tell you how impressed I was with the thought that went into the making of Banko Cantina’s interactive cocktail list. (Kudos to Enrique Cobos) Take for instance the Passion Fruit Sangria. Our server delivered the following instructions on how to partake in this cocktail, ” shoot it, lick it & sip it.” In other words, there was a tequila shooter resting on top in the jalapeño boat which we were to first shoot back, followed by the licking of the salt and chili-spiced rim, and then take a quick sip of the habanero-infused tequila and Pinot grigio sangria made with fresh passion fruit puree. It was genius. I could have shot, licked and sipped on these all night long! House made guacamole made with just three ingredients: avocado, salt, and the juice from Serrano chili peppers. The mesquite-grilled skewers were quite impressive and were delivered to the table hanging from specialty metal stands suspended over a plate with a single slice of charred pineapple. Options include carne asada ($14); bacon-wrapped shrimp and chicken ($12); and vegetales ($10). Another interactive cocktail, the Adelita is made with Herradura Resposado, fresh lime juice, sour mix, Cointreau, Vida Mezcal float, salt and chili pepper rim. By this time, we were all pros on how to “shoot, lick and sip”. The lobster tacos include a whole Maine lobster tail and were topped with Chef Manual Briseno’s own “secret” sauce. The lobster meat was wrapped in the most delicious char-grilled flour tortillas I have ever tasted in my life, I’m not kidding. I just couldn’t stop eating them! Sam has these tortillas specially imported from his hometown in Salinas Victoria, a municipality located in the state of Nuevo León. Under the Traditional Plates section of the menu, you will find this seafood paella ($24) made with shrimp, clams, mussels, Andouille sausage, chicken breast, rice,and saffron broth. The flavors came together perfectly and was a lovely and tasty dish. For dessert I was told we were going to have a corn bread cake. I thought to myself, corn bread for dessert? Oh boy were my taste buds in for a real treat! The Pan de Elote ($10) is made fresh daily in house and is a moist corn cake baked in a scalding hot cast iron pan for charred edges that deliver a smokey-sweet note. It was served with a house made caramel and topped with a little vanilla ice cream. It was really a unique and delicious dessert and one I would definitely recommend you try. The El Sueno is actually accredited to Sam – something he concocted in his dream one night and hence the inspiration behind this cocktail’s name. Made with pineapple-infused 4 Rebels Premium Vodka, coconut cream, coconut water, lime juice and toasted coconut rim. Banko Cantina is located at 114 South Olive St., West Palm Beach. Hours are 4 p.m. to close daily. Call 773-348-8899, or visit bankocantina.com. Some of you who are following me on Facebook, Twitter or Instagram know that I have just returned from a trip to Boston; an exploratory trip, that is. I went there to accomplish two things: 1. 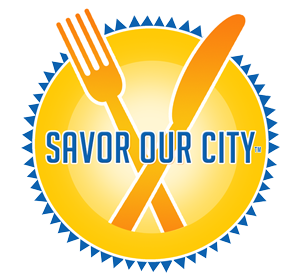 Get to know Boston, a city that we will soon be operating a series of private group culinary tours and then 2. To share my wonderful FoodFinds with you. My trip began with a great deal flying Spirit Air thanks to a friend of mine who works for the line who was able to extend a friends/family rate to me. I am thankful that the stand-by status paid off as I don’t know what I would have done if it hadn’t since I had my hotel room booked and meetings & interviews and even a food tour lined up. But thankfully, it was seamless. So I arrived at Boston Logan Airport and exited through the bag claim area and proceeded outside to the center area marked ‘Shared Van Service’. I was staying at the Boston Park Plaza Hotel, thanks to the Greater Boston Convention & Visitor’s Bureau who helped to make the connection. The hotel did not have a pick up service at the airport, so after reviewing my options of getting from the airport to the hotel (I was only staying in town a couple nights and everything I needed to do was close enough to walk or Uber, so I did not rent a car), I opted to reserve a seat on Go Boston, a shuttle I ended up sharing with just one other gal. When I got to the hotel, I realized I didn’t have any singles on me. When the driver said he didn’t have any change, I asked him to wait for a moment so I could run in and get some. Little did I know that we arrived in the back entrance and after running inside what might have been about 3o feet, I frantically turned my head to the left and to the right and assessed there was no lobby or front desk in sight. Before I had a moment to despair though, I ran into three knights in dapper business suits (Tony, Jonathan & Rob were their names; turns out they were 3 top Execs of the Hotel, lucky me). They asked me what seemed to be the problem and I explained and without an ounce of hesitation, two of them were reaching in their pockets to offer me the tip money. Of course I was super appreciative of these gentlemen being there to not only help out by fronting me the money to tip my driver and watching my bags which I just dropped at their feet, but when I asked the gentleman who laid the money out how I could find him again to repay him, he absolutely refused. Nice, right?!? I really appreciated the gesture and hospitality, which didn’t end there. I made my way to the front desk to check in, and as I was waiting for my room assignment, Rob, one of my new friends (who turned out to be the Hotel Manager), suddenly appeared at the desk and made a point to ensure I was given a nice room, which I had. The hotel recently underwent a major transformation, with some final renovations taking place on some floors; I was on the top floor and my room’s renovations were already complete. Click here to watch the transformation video in time lapse. For fun trivia facts about the hotel and some of its notorious guests throughout the years, click here. Off the Common Restaurant in the main lobby. Guests can keep their phones, iPads and laptops charged with several convenient charging stations tastefully placed down the center of the dining room and throughout the hotel. The plan was for me to contact Vanessa, Boston Park Plaza’s Marketing Manager upon my arrival to have her give me a tour of the hotel. Vanessa and I had been corresponding closely prior to my arrival and I already felt like I was meeting a new friend. While I was waiting for Vanessa to take me on my tour, I had a seat at the bar and started chatting with Fritz the bartender. Fritz has been working at the Park Plaza Hotel for 17 years, ever since he was in college. I think that says a lot about the hotel, which incidentally just celebrated its 89th birthday. They must be treating their guests (and employees) right! We began our tour of the hotel at the library. It was a nice cozy library with plenty of good light for reading. One cool feature they have thought to add here is a “call pod”, a call for service button available from 5pm – midnight, where guests can have food and/or beverages delivered right to them from the comfort of their chair. How convenient is that?! This gorgeous ballroom is 13,000 square feet and can hold up to 2,200 guests. There are several other options available for various other meeting spaces as well. Pictured above: The David Barton gym, an ultra sheek, ultra modern 19k sq ft space found one level below the lobby. Here one can get a great work out in the gym, take one of their group classes and even spin. The gym is open to the public and memberships are also available. Pictured below: My bedroom on the 15th Floor. Nicely appointed with mini fridge, flat screen tv, sitting area, King bed (with the most dreamy pillows I can remember laying my head on in a very long time) and (not pictured: bathroom). The dual head shower was a nice touch as was the hand soaps. The brand they use is Pure and I loved the fragrance of lemongrass. Pictured below: A special surprise was awaiting me when I returned to my room later that evening. The chocolate ganache cake was to-die-for! They have a great breakfast buffet at the Boston Park Plaza Hotel. Here’s a little sample of what I got. After completing my wonderful tour with Vanessa, I headed out to explore this unique city. Check back soon for Boston – The Park May Be Common, But The City’s Unique! (Part 2) where I cover my walk from the Boston Park Plaza Hotel to the North End via Faneuil Hall/Quincy Market, my food tour and other fabulous food finds..